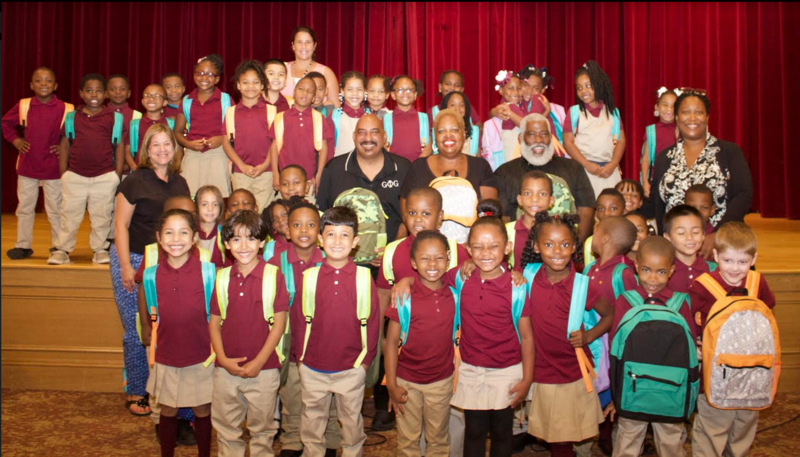 Representatives of the Graham Elementary School Alumni Association presented 50 backpacks filled with school supplies to school officials to hand out to first-graders on Sept. 12, marking the second year the group has done so. The association is looking to do this every year as a way of giving back to the community and acknowledging the school’s efforts to ensure a high quality education for children in kindergarten through the sixth-grade. Proceeds from the Graham Heights Community Barbecue --- where many members lived as children --- were used to purchase backpacks and school supplies for first-graders. Young, a member of the Graham Class of 1970, values school and understands the importance of young people being prepared each and every day. Principal Dr. Natasha Hunter-McGregor was grateful for the group’s ongoing interest as she watched the faces of the young people light up as they selected a backpack of their choice.